The Yachtmaster Coastal has the knowledge needed to skipper a yacht on coastal cruises no more than 60 nautical miles offshore in favourable conditions. STCW 2010 – Run over 11 days. Powerboat Level 2 course run over 2 days – to be able to operate a Tender – we send the e-book when the course deposit is paid so that the client can familiarise themselves with the course content. RYA SRC online Radio course followed by a practical exam – we send e-book and logins when the course deposit is paid, so that by the time they have started the course. The practical exam is carried out and paperwork submitted to the RYA for processing. RYA one day diesel course – won’t make you a Diesel engineer, but will at least know your way around a diesel engine in an emergency. RYA one day Radar course – all vessels have Radar aboard, and at least will know how a Radar operates. Competent Crew Course – 5 days of practical training run up in Langebaan, your introduction to sail training. Price includes shared onboard accommodation and excludes food. 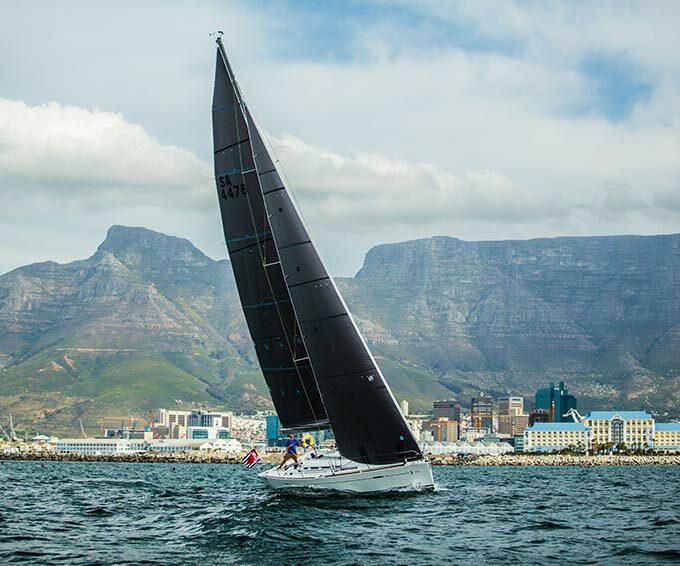 RYA Day skipper Theory – 5 day shore based course run at our Training Centre situated at 201 Buitenkloof Studios, 8 kloof Street, Gardens, Cape Town. Course includes all course materials, but excludes food and accommodation. Backpacker and Airbnb accommodation options within walking distance of our training centre. Day Skipper Practical – 5 Day course run in Langebaan, where they will be exposed to sailing in Tidal Waters. Boats are berthed at Yachtport, and will berth at a different marina each night. Coastal Skipper Theory – 6 day shorebased course, run at our Training Centre in Cape Town. The coastal theory takes chartwork and navigation to another level. Weather, collision regulations and passage planning. Coastal Skipper Practical – 7 day course which consists of night passages, 2 x 60 nautical mile passages and skills training. During the 7 days you will be exposed to your coastal passages, each client will complete their 2 x 60 nautical mile skippered passage, prepare the passage plan to the chosen destination, by using the charts for the specific area that you will be sailing to. Provisioning of the vessel for the trip. The last stretch, is the 7 Day Yachtmaster Coastal Prep and Exam week. 5 days are spent preparing yourself practically and theoretically to earn your Yachtmaster coastal certificate of Competence. The instructor will fine tune all the skills learned during your theory and practical courses. There are 5 days of prep and 2 days allocated to the exam. This can change according to the number of candidates aboard. The candidate will be examined by an RYA Accredited Examiner, and the paperwork submitted to the RYA for processing and issue of your Yachtmaster Offshore Certificate of Competence. There is an exam fee of 200 pounds which is payable directly to the RYA by the Candidate. Should you wish to Commercially Endorse your Yachtmaster Certificate of Competence, you will have to complete the PPR Online Course (Professional Practices and Responsibilities). To work on a Commercial vessel, you will have to Commercially Endorse your qualification. The cost of the Commercial Endorsement is 34 pounds.